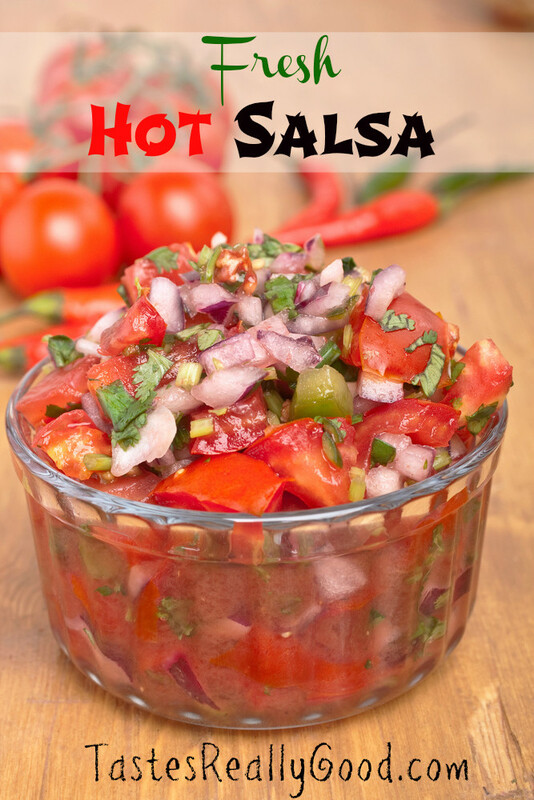 I recently made a super healthy fresh hot salsa and I thought I would share the recipe with you. It is really simple and although it only has a few ingredients it makes for a great looking dish on your table. There is a little scope to modify for your own taste but it really is fine how it is. Well I think so anyway. You could try some fresh garlic or basil with it if you like experimenting. Avocado is also another nice addition. Please be careful when adding your chillies. If you go for a variety like seranno chillies then you will definitely only need one or at the very most too. Seranno’s are very hot and can be overpowering if you aren’t used to them.